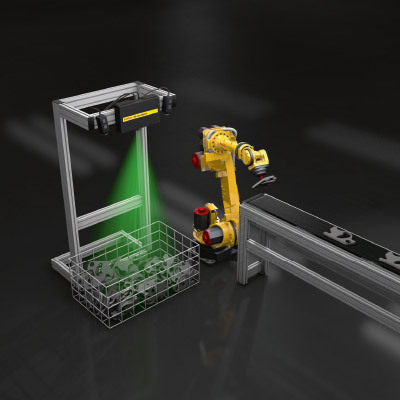 FANUC 3D Area Sensors enable robots to recognise and pick up randomly positioned objects straight from a bin. 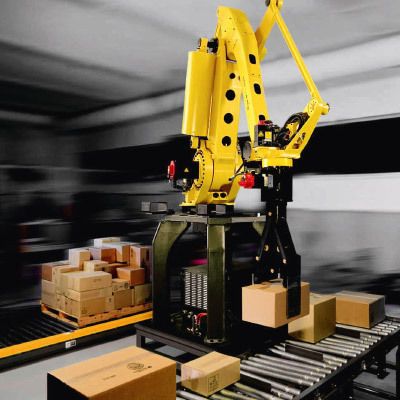 Automating your processes using this object-recognition technology represents an effective way of increasing productivity and reducing costs on a vast range of general material handling applications. 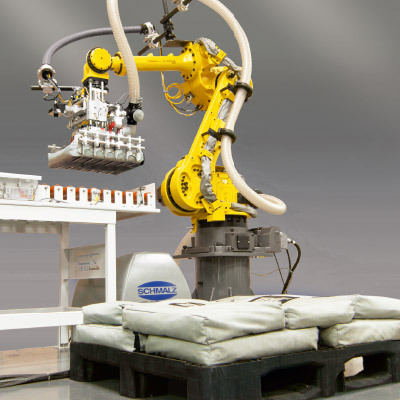 No matter whether you are dealing with loose, mixed and irregular items or sacks and bags, equipping a robot with a 3D Area Sensor provides an efficient handling solution that can be quickly adapted to manage different products in accordance with your order books. 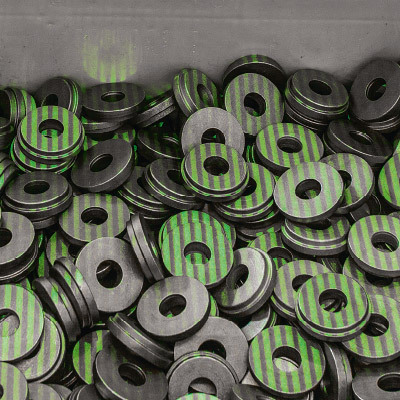 With grippers suited to every possible handling eventuality, this kind of flexibility extends to depalletising, bin picking, sorting and machine tending regardless of the objects involved. The 3D Area Sensor's integrated part manager selects the most pickable items for more efficiency. Easy mechanical installation and setup wizards reduce system setup time. Complete integration into the robot means there are no awkward interfaces to external devices, wiring or additional costs. 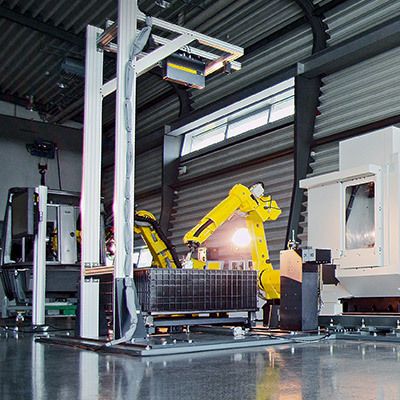 FANUC boasts a 25-year track record in advanced vision systems and relies on these daily in its own production facilities. Since labour costs are extremely high in Japan, these systems need to be simple to set up and use. They also need to work non-stop without fault. Unlike other systems, 3D Area Vision is especially easy to set up and program, features a simple but highly effective collision avoidance system and can be integrated into lines with a minimum of effort. The 3D Area Sensor can be programmed on the shopfloor using a graphical interface on iPendant Touch. Shorter cycles times thanks to multi-tasking background processing. The 8 year service interval on the 3D Area Sensor's projector unit ensures continuous operation. 3D Area Sensor uses structured light projection to create 3D maps. It uses these to identify and pick parts based on what the integrated part manager decides to be the fastest picking option. 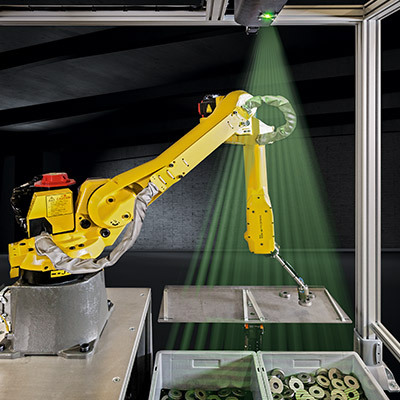 Using FANUC's 3D Area Sensor even setups involving dirty, dusty or rusty products and/or difficult light conditions can be realised. 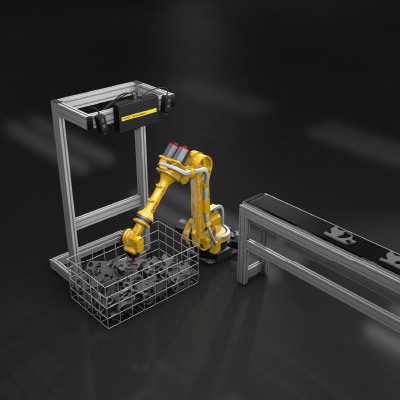 No matter what your handling scenario, FANUC specialists are ready to find a solution that meets your needs. 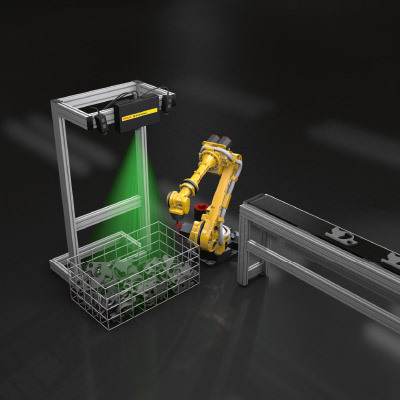 3D Area Sensor could be the solution to your handling and processing needs. 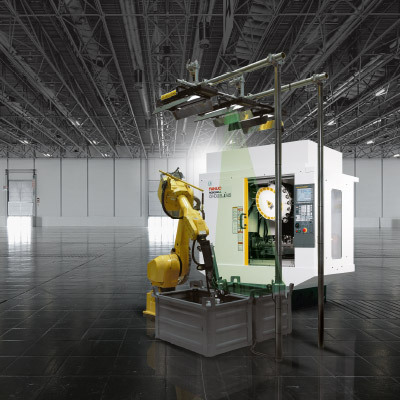 Find out now by calling FANUC for a free trial installation.